Xilia is the story of 3 friends and their deep love for wood and design, accompanied by a passion for beauty and what is well done. Three friends with an extremely heterogeneous background but with the ambition to write a new successful page on the Italian design scene: creating a smart company with a business model open to contamination able to offer unique wooden surfaces and solutions, beautiful to look at and to touch. This is the true essence of Xilia. With Xilia, the wood takes on a new dimension, the tactile one, in order to create unique and sustainable surfaces enriched with exclusive textures which become refined solutions for the interior design. Xilia introduced a new perception, which is material and sensorial, to a complex surface such as wood. 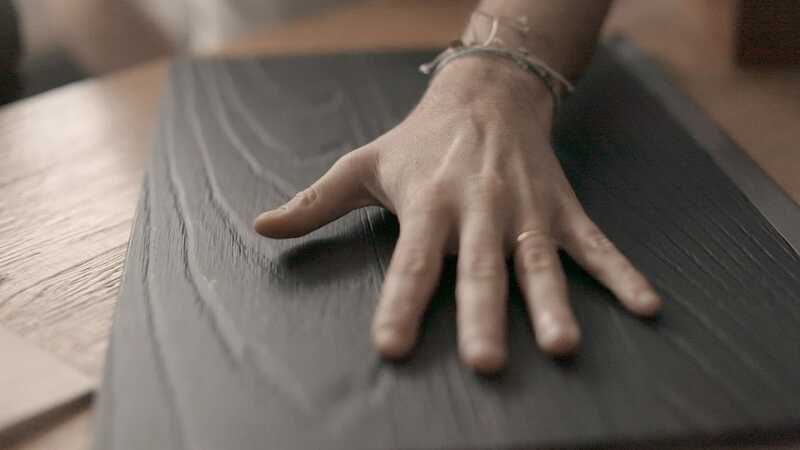 Thanks to a production process capable of combining artisan manual skills and technology, the wood comes out embellished by stunning textures through which the surface takes shape, movement and personality. The versatility of production, but above all the flexibility of thought, allows Xilia to develop tailor made proposals that can enrich the project, in line with every type of request expressed by the client. Xilia covers all the project phases, from design to installation, and serves the most important brands in the fields of furnishing, product design, interior architecture and contract, with projects ranging from hotels to multi-apartment complexes, retail and public spaces. Xilia proposes unique and rare wood surfaces based on high quality raw materials, giving an extraordinary visual and tactile sensation on very low veneer thicknesses. All Xilia products are proposed with water base painting and FSC certification in full respect for the environment and with a special eye for future generations. of the most beautiful “Made in Italy”.